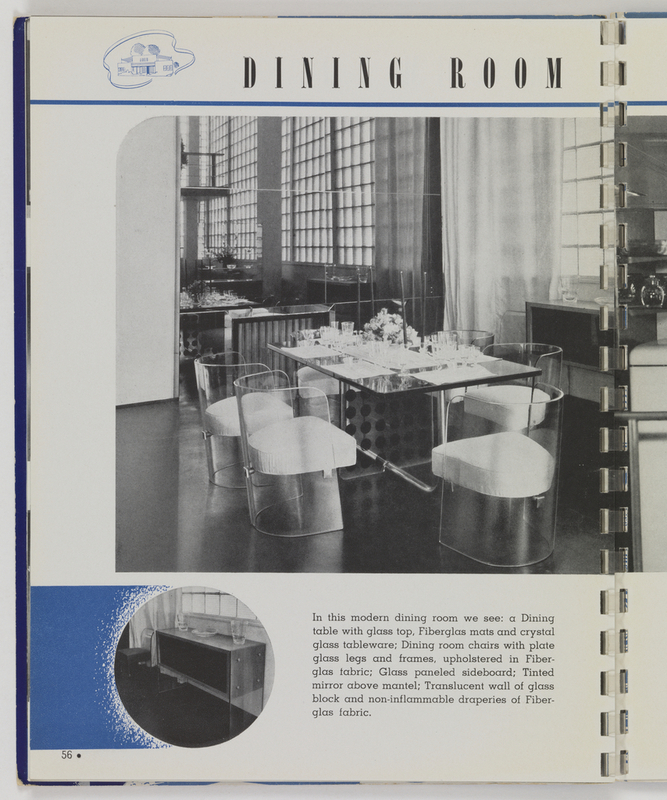 See more objects with the tag dining, promotion, domestic interiors, modernism, documentation, glass, World's Fair. See more objects with the color darkslategrey darkslateblue midnightblue or see all the colors for this object. This is a Book Illustration. 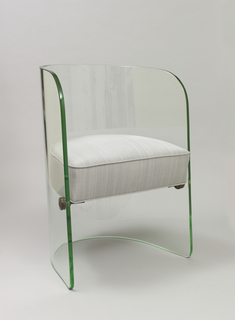 It was written by Glass Incorporated and published by Glass Incorporated. It is dated 1939. Its medium is photomechanical process on paper. It is a part of the Smithsonian Libraries department. In 63 pages, this World’s Fair book from the Glass Center Pavilion at the New York World’s Fair tells glass’s vivid history and imagines its magnificent future through words, photographs, and illustrations. The Glass Center featured exhibitions on glass fabrication, types of glass, and the incredibly broad uses of glass. Its indisputable showpiece, however, was the Glass in the Home exhibition. Here, in the living room, dining room, kitchen, and bath, glass was used in every conceivable way: for the frame and legs of a piano, as a radio housing, as a bookcase, and in the curved frame of dining chairs.